Today Disney has revealed a new image promoting Star Tours: The Adventures Continue, featuring Boba Fett’s ship (the Slave I) chasing the attractions Starspeeder 1000 in a laser-filled space battle. When the ride sequel opens at Disney’s Hollywood Studios on May 20, 2011, guests will virtually visit a variety of Star Wars locations and characters. The image above appears to depict the planet of Geonosis, as seen in Star Wars Episode II: Attack of the Clones. 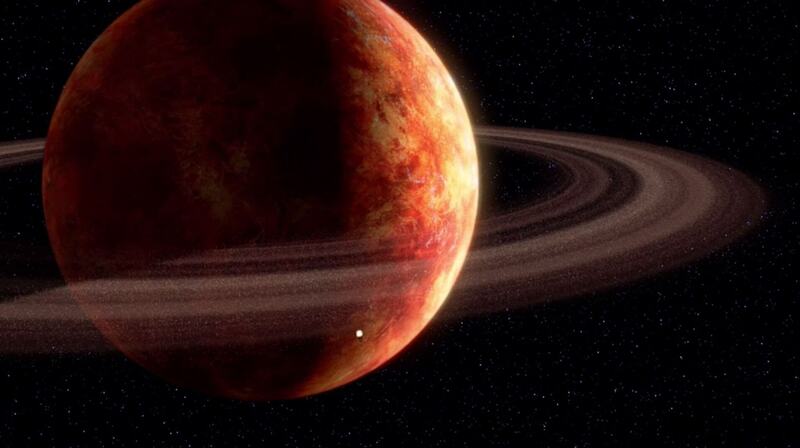 It’s possible the red planet is another of many in the Star Wars universe but the resemblance to Geonosis is close. The new artwork was revealed in an e-mail sent today to Walt Disney World Annual Passholders in promotion of the attraction (re)opening in May. Star Tours: The Adventures Continue will also open at Disneyland in California, but not until June 3, 2011.